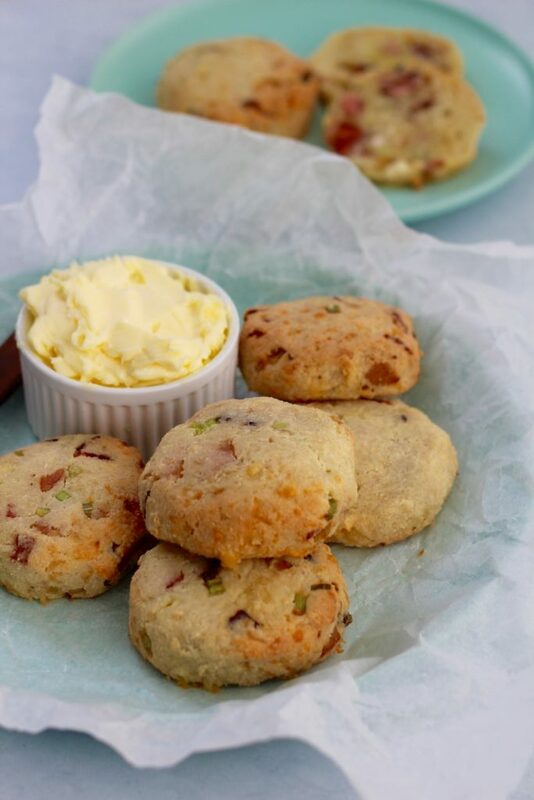 Gluten free cheese and bacon savoury scones | Easy recipe! 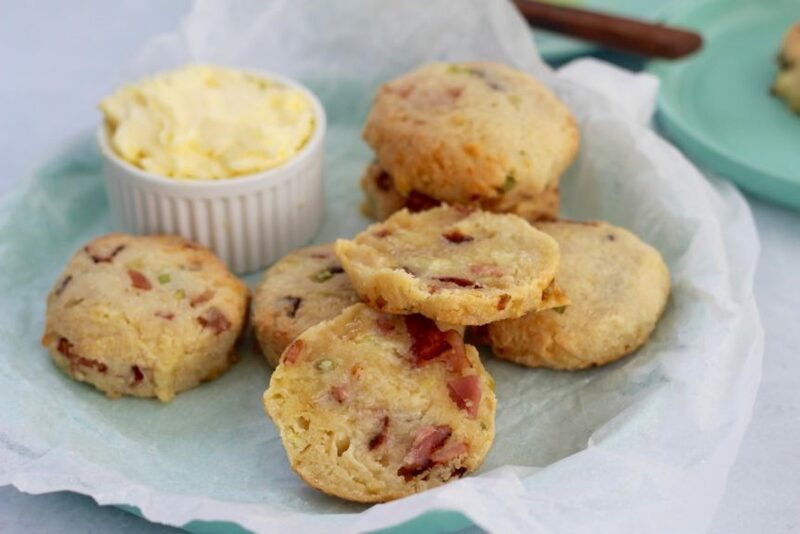 Gluten free cheese and bacon savoury scones. Oh heck yeh we did. Anything with bacon and cheese really is a winner of a recipe. 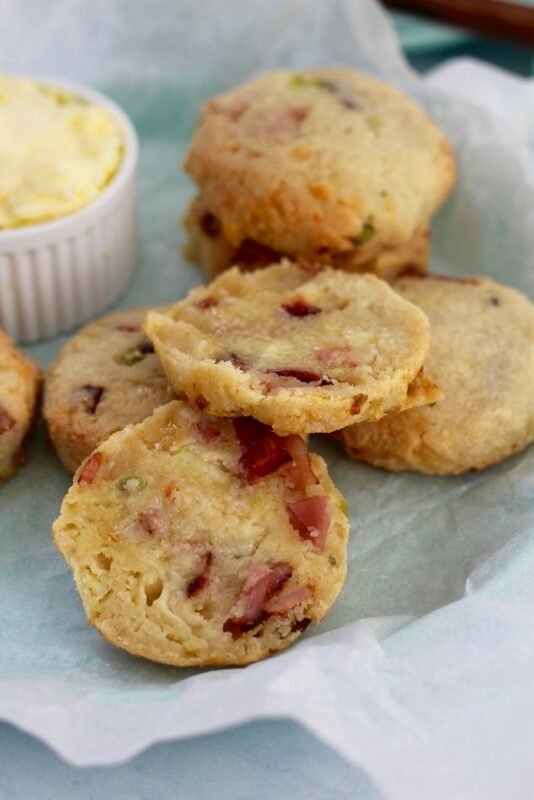 And we know these gluten free cheese and bacon savoury scones will do it for you. We think they make the perfect morning or afternoon tea and just in time for Mother’s Day! We’re also super excited to share our special Get Merry bonus for Mother’s Day. We only have a limited number of these bonuses available (200 only!) so don’t leave it too late! Ok, back to this gluten free savoury scone recipe! Go, bake, enjoy! Report back with all the delishness that went down in your kitchen. P.s Don’t forget to check out the Mother’s Day bonus! Click here for all the info! In a large bowl add the almond meal, cassava flour and salt. Mix well. Add the eggs, coconut milk, oil and mix again. It will form a crumbly dough mixture. Add the bacon, cheese, shallots and mix again. Place balls onto the baking tray 2 cm (1 inch) apart and flatten a little. Place into the oven for 20 minutes, or until golden brown. Serve with a dollop of butter or with avocado. We fried up our bacon first for extra delish factor. YUM!